These pressure sensors, with digital output, are ideally suited for measuring static and dynamic absolute pressure in liquids and gases. The pressure transducers of the DRTR-I2C series transfer the measuring value as a calibrated and temperature compensated I²C digital signal. Further microcontroller or pressure controller can then directly read the pressure values via the M12-plug connector. 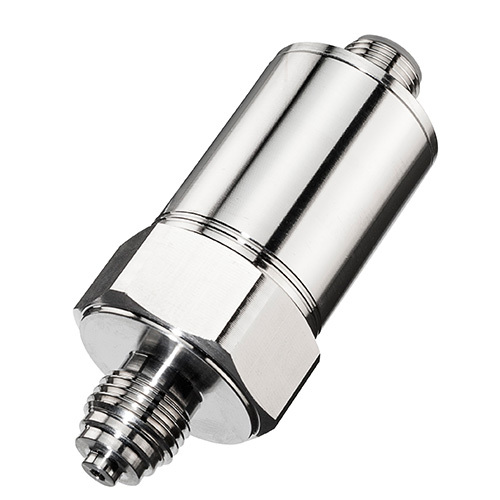 The robust probe housing with protection class IP65 is made of stainless steel and has a G¼“ external thread process connection. These transmitters show a high chemical resistance, however we recommend to make a media compatibility test especially if critical media such as, in electroplating applications (iron trichloride) or oils with undefined additives are used. The pressure transducers are also available with different measuring ranges. If the product you need cannot be found in our online-shop please do not hesitate to contact our sales department.